Okay, if you ask my own children, they might tell you something different, but when it comes to my classroom, you'll find me most days guffawing and giggling more than anything else. I've been known to cackle so loudly that they can hear my laughter echo down the hallway. Over my years of teaching, I have come to realize that my philosophy of classroom management starts with building relationships. 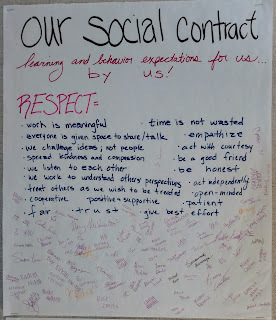 We start that very first week of school by constructing a social contract for our learning community. I ask for student input on what our learning and behavior expectations should be. We have candid conversations about what respect looks like, both from the teacher and from students. When I talk about the classroom, it is our classroom and our learning community. We work together. It is not mine or yours. And it doesn't take long before students are using those same plural pronouns to talk about our class. We reserve the opening moments of every class period to share out what things are happening in our lives. We share our highs and our lows. I know my students. I listen to their struggles. I try to provide a space that is flexible, comfortable, and safe. And so when conflict happens, I rely on the strength of those relationships to lift us up. If a student is off-task, I just need to quietly come stand beside her and ask how things are going. That's usually enough to help redirect her back on task. On the rare occasion when anger fills our classroom, when someone uses profane language, or calls someone a name, I can usually get the situation under control quickly by pulling the student aside and trying to understand what is at the root of the issue and help the student see another's point of view. 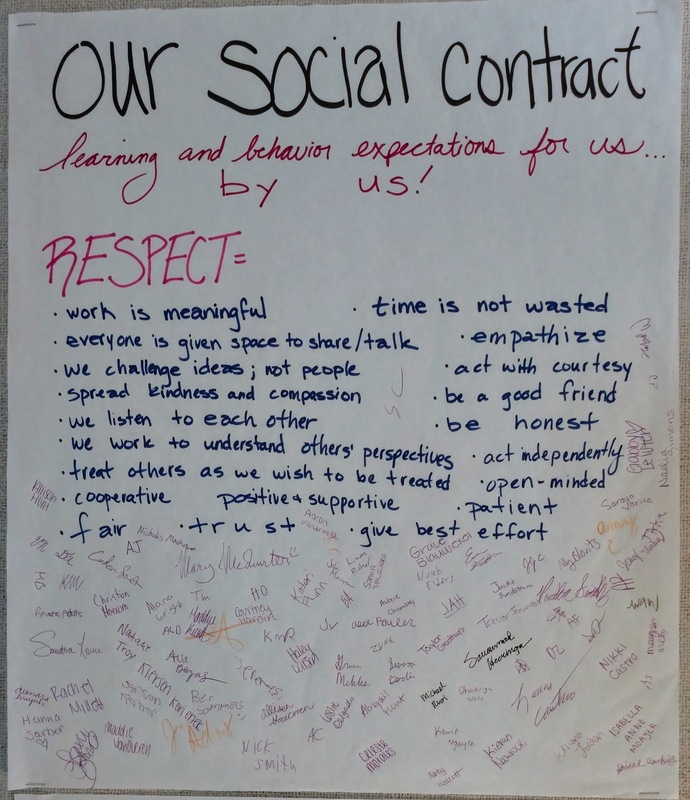 I point out the tenets of our social contract. This is what respect looks like in our classroom. This is what empathy looks like in our classroom. Not at first. At first I tried to calm down an irate student by pulling her aside. I tried redirecting. I tried separating. I tried getting the class back on task. It is not how I like getting control of my classroom. It feels like a broken trust. But I know that it will work out. And I know that because as students walked out of class, I heard apologies. Students apologizing to one another. Students apologizing to me. I saw students offering to help others. After school a student stopped by to see if I was okay. He was checking on me. It will work out because our relationships still build the foundation of our learning community. Our walls may have shook this afternoon, but our relationships remain strong.